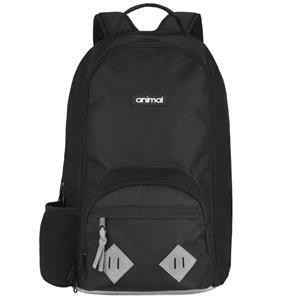 The Animal Bikes Loud Pack BMX Backpack was designed with a traditional look/feel, but has a bunch of internal luxuries. Lots of options with this pack, such as a 15" laptop compartment, room for every book you need, a couple of tubes, maybe a fold up tire and the tools to fix it. Plenty of room here, so go ahead and get loud. You won't be mad!